Internet banking is among the most widespread payment solutions to be used as a deposit method at established online casinos. The method does precisely what its name suggests – it enables players, who are customers of a given brick-and-mortar banking institution to transfer funds over the internet from their own bank accounts to the accounts of their online casinos of choice. Internet banking is sometimes referred to as “online banking” or “e-banking” because the player is practically using the online banking services of the banking institution they hold an account with. Of course, in order to transfer funds this way, one is required to first apply for an online banking account with their financial institution. The customer will be provided with a unique password for verification purposes. To process a payment to an online merchant or in this case, to an online casino, one simply needs to visit their bank’s secure website and log into their online banking account with their password and customer username. This method of payment comes with a number of benefits and is widely popular among online casino players because it offers convenience, flexibility, reliability and time-efficiency. Below, you will find a more detailed information on fees, security and how deposits via internet banking work. Internet banking enables players to boost their online casino balance in a fast and efficient manner, regardless of their location. However, the policies in regard to internet banking differ from one bank to another. For instance, some banks may impose limitations that prohibit customers from sending money to specific locations, in which case players will be forced to look for an alternative payment solution. Players are recommended to take the time to acquaint themselves with the policies of the specific banking institutions they are account holders with prior to attempting a deposit via this payment method. The procedure of depositing via internet banking is rather simplified, secure and quick. 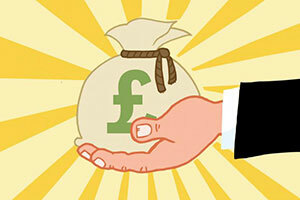 Some even regard this method as the safest way to transfer money to your favourite online casino. One of the options is to initiate a direct bank transfer using your online banking account. To do so, you should head to the casino’s cashier section and select the direct bank transfer from the listed deposit options. 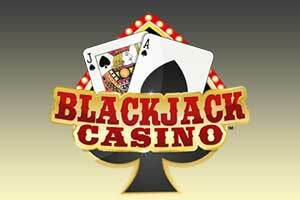 To process the payment, you will need the casino’s banking information, like its IBAN and BIC codes. When you visit your bank’s online banking page and log into your account, you are required to fill in the form correctly and submit the payment. You will be notified via email as soon as the money transaction has been completed and the casino has received your deposit. In many casinos, it is possible to transfer a deposit via internet banking by using the services of a third-party instant banking intermediary like Trustly, POLi or iDebit. Once you select the instant banking processor from the list of available methods and input the amount you wish to deposit, you should simply choose the affiliated bank you hold an account with. You will be automatically redirected to the bank’s online banking log-in page in order to confirm the transaction. 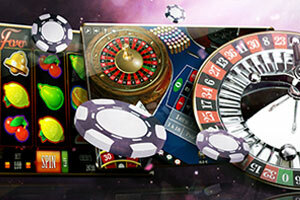 The funds will be transferred to your casino balance immediately, so you can start making real-money bets right away. As was already mentioned above, the policies in regard to internet banking differ depending on the banking institution players hold an account with. The same applies in full force when it comes to internet banking fees which also differ from one financial institution to another. Some banks even prohibit customers from sending funds to offshore web-based gambling websites, so players might fail to process a deposit altogether. That is why, it would be best to contact your bank’s representatives in advance and request information concerning the internet banking fees. This will certainly spare you any unpleasant surprises and prevent you from incurring unwanted charges. Using internet banking is largely regarded as one of the most reliable deposit methods out there. It is your banking institution that carries out the transaction, so you are not disclosing any sensitive banking information to third parties in the process. Note that some banks utilise a direct modem connection for their internet banking services, which practically means the payments are not even transmitted over the internet. Other banks transfer the transactions using heavy encryptions that encode sensitive banking information so that only the intended receiver can see it. Sophisticated 128-bit encryptions offer the highest level of security and players can rest assured their money and banking details are in good hands. To ensure the online banking page is secure, players can simply check their browser’s address bar. If they see a small padlock or a key icon there, this means the page (and therefore their transaction) is secure and encrypted. In addition, players are required to confirm the internet banking deposit by entering their unique password and Personal Identification Number (PIN). Please note, that you can also change your PIN as often as you wish. Obviously, internet banking has plenty of advantages to offer – otherwise, the method would not be so popular among online casino players. One of the greatest pluses of using this payment method is security since players are not required to share sensitive information with any third parties. All data concerning bank account numbers, identification numbers and so on stays secure between the player and their bank. In addition, internet banking is more affordable, especially when compared to other methods like certain e-wallets, for example. Internet banking is rather straightforward and many players are already familiar with the method as they probably use it to pay their utility bills and make online purchases from the comfort of their homes. 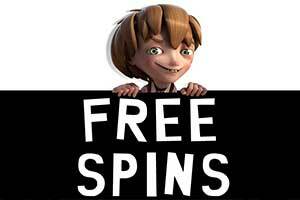 Not to mention, the method is widely spread and you will find it as an option at all reputable web-based casinos. 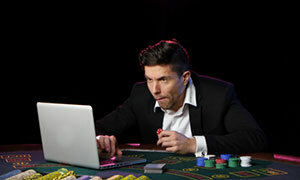 On the downside, in some instances, deposits processed via internet banking may take a slightly longer time to carry out, because the banking institutions are sending the payment out manually and the online casino should wait to receive the money either by bank transfer or by a cheque before they top up your account. This can be prevented by using a third-party instant banking intermediary like iDebit, iDeal or Citadel. Deposits via these processors are just as secure but go through immediately. Unfortunately, if you opt for internet banking via one such payment processor, you will have to look for alternative methods in order to cash out your winnings since withdrawals are often impossible with these processors. Players will be able to find short overviews of all payment methods that are based on internet banking. The listed methods are all secure, flexible and easy to use, not to mention they are available at many legitimate and renowned online casinos. Please note that some of the listed methods are country-specific and may be unavailable to players, domiciled in given regions. 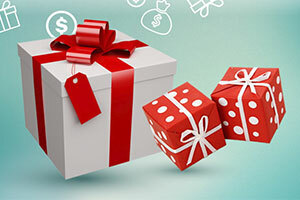 Many casino players opt for using the online banking services of their financial institutions as a deposit method. 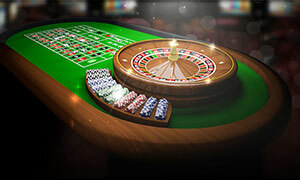 The funds are practically taken directly from the player’s personal bank account and are transferred to the account of the online casino without using the services of third-party agents in between. Of course, usually there are fees involved, but they depend on the banking institution you are holding an account with. As we said earlier, sometimes you might have to wait longer for the transaction to go through. However, one major advantage of using standard internet banking results from the fact everyone can use this method as long as they hold an account with a given banking institution and have registered for its online banking services. iDebit is supported in over 20 countries and enjoys a huge popularity among online casino players because it offers as a secure, quick and easy way to pay directly from one’s online banking account. What is more, no credit/debit card is required in order to do so. However, players are expected to register with an iDebit account in advance but this registration is free of charge. Another requirement is to use the online banking services of a bank that is affiliated with iDebit. Deposits with iDebit involve several steps. You need to select iDebit from the list of available options in the cashier section, log into your iDebit account, choose your affiliated bank, enter your online banking credentials and approve the payment. Some of the most well-known online casinos to accept this method are 888casino, bet365, and BGO Casino. Citadel provides instant online banking solutions to customers in 33 different countries and is associated with over 300 banking institutions on the global scale. The company was founded in 2000 and has its headquarters located in the city of Vancouver, Canada. One of the greatest advantages of Citadel is that no registration is necessary in order to process an online payment with this method. The only requirement is to have opened an account with one of the associated banks and to use its online banking services. Deposits with Citadel follow the standard procedure where players are expected to click on this payment solution in the casino’s cashier menu, select their affiliated bank, sign into their online banking account with their user ID and password, and authenticate the payment. Within a few moments, the funds will reach their online casino accounts. 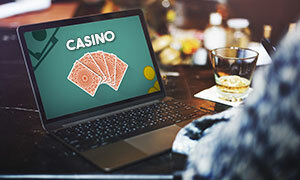 Some online casinos support withdrawals with Citadel Instant Banking as well. It is recommended to contact your preferred casino’s support team and consult them in advance if you wish to cash out with this method. Please note withdrawals with Citadel typically are not carried out instantly due to verification reasons and may involve charges. 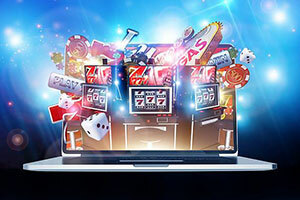 Citadel ranks high in popularity among players from the United Kingdom, Canada, Germany, Sweden, and France, among other countries, and is supported by first-rate online gambling operators such as 888casino, for instance. POLi is the leading online payment system in Australia and New Zealand that allows players from these countries with internet banking accounts at affiliated banks to process quick, secure and instant deposits to online casinos. At the current moment, POLi is associated with 18 Australian and 7 New Zealand banks. There is no need to sign up with an account in order to use POLi’s services. You simply select it from the cashier’s menu, input the amount you want to deposit and click on your bank. You will be immediately redirected to your online banking account where you have to authenticate the transaction and that is all. 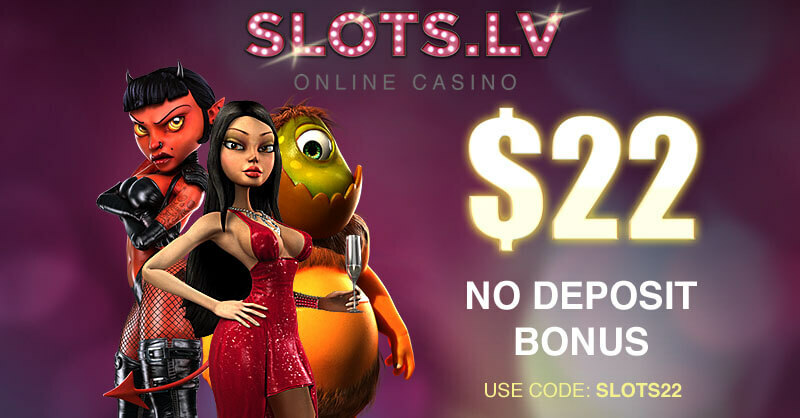 The money will be readily available in your casino account to play with. Players cannot process withdrawals with this payment processor, however. Those, who use it for deposits, will have to pick another method in order to cash out their winnings. Deposits via POLi can be carried out at BetWay, William Hill and Roxy Palace, among other casinos. Players, who reside in Scandinavian countries like Sweden, Norway, Denmark and Finland, have probably heard of Nordea. The latter is a financial services group which was established after the merging of various Scandinavian banks. Nordea’s Netbank enables players to boost their casino balance in a hassle-free manner, but the service is also exceptionally secure since it employs the so-called Access Codes. These consist of a unique user ID, one-time security codes and confirmation codes. Only bank account holders at the banking institutions, associated with Nordea, can use the service. Additionally, Nordea bank account holders can transfer deposits via Skrill (MoneyBookers). The depositing process consists of several steps. Players should click on Nordea’s logo in the casino’s banking section and enter the amount they want to transfer. They will be taken to Nordea’s Netbank log-in page where they need to enter their Access Codes, fill in their payment details, and authenticate the transfer with a confirmation code. The funds will be transferred to their casino account balance right away. As for withdrawals, these are not possible with Nordea. Many players who use this method resort to cashing out via standard bank transfers. Introduced in 2005, iDeal is among the most popular internet banking processors among casino players from the Netherlands. Since its inception, iDeal is said to have processed over 1 billion online payments and is accepted by more than 100,000 online merchants and many web-based casinos, including 21 Nova and William Hill. It is important to mention, iDeal is not a centralised electronic payment system, rather than a set of technical agreements between banking institutions and payment processors. Practically anyone who holds an account with a bank affiliated with iDeal can use the method. Depositing with iDeal is rather straightforward – you simply need to select it as your preferred deposit method from the casino’s cashier menu and pick your bank from the list to be redirected to its online banking page, where you can confirm the transaction. Unfortunately, withdrawals with iDeal are not possible. Players will have to look for an alternative payment solution to cash out their winnings. Giropay is a reliable online banking processor that is commonly spread among casino enthusiasts from Germany and Austria. 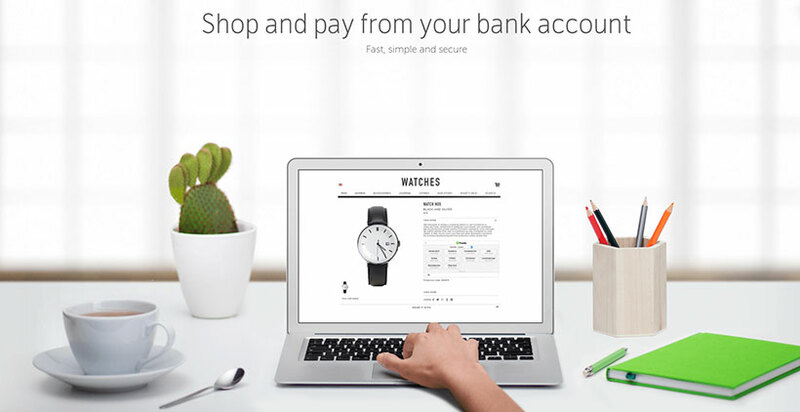 The payment processor is affiliated with over 1,500 German and Austrian banks. With over 17 million customers, Giropay poses as a hassle-free, reliable and convenient way to boost your casino balance, even if you are lacking a credit/debit card. The procedure is rather simplified – you pick Giropay from the listed deposit methods at the casino’s cashier and are redirected to your affiliated bank’s internet banking page where you fill the form, and authorise the payment with a special TAN code. The money will be at your disposal right away, but if you want to cash out, you will have to look for another method, like a bank transfer. 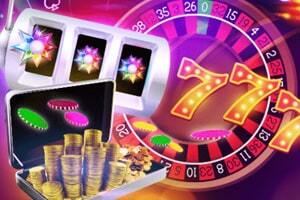 This method is an option at reputable online casinos, the likes of William Hill and Eurogrand. Established in 2008, Trustly is a popular direct internet banking solution that is based in the Swedish capital Stockholm. The company is highly regarded for its reliability, even more so when we consider it is licensed by the Swedish Financial Services Authority. Over 50 million customers use the services of Trustly as the company is affiliated with a great number of banking institutions across Europe. What is more important, Trustly specialises in direct internet banking via mobile devices like smartphones and tablets, making it possible for players to deposit while on the go. Players, who select Trustly as their preferred deposit method, are not redirected from the casinos’ websites when they initiate a transaction. They are required to fill in a pop-up form with their banking details, instead. The deposits are carried out instantly, but one of the biggest advantages of Trustly is that players are not expected to hold accounts with a bank, associated with this payment processor. The deposits will simply take more time to complete, usually between one and three business days. Another advantage is that it is possible to cash out your winnings with this method as well. When I play in online casinos I always deposit via Internet banking because I transfer the money directly from my bank account to the casino. 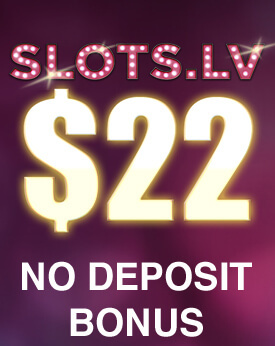 Overall, this method is simple and straightforward, and it’s accepted by almost all large gambling sites. But last month when I was depositing into one of my favourite casinos, I accidentally entered a significantly larger amount of money – instead of £100, I entered £1,000 and immediately confirmed the transaction. I realised my mistake the next second, but it was too late. I tried to cancel the transaction. I called the customer support at the casino, then I called my bank, but to no avail. These transfers could not be cancelled so I ended up with £1,000 in my casino balance, which was terrible. At least the casino gave me a bonus, so now I will play for months with this sum and hopefully, I’ll be able to win something. I have used several instant banking services and for me, they are, by far, the most convenient methods for depositing into online casinos. The transfer is indeed instant and it’s incredibly safe, as it is completed through the online banking system of my bank. But there are bank fees I can’t avoid and when it comes to withdrawals, you might want to consider an alternative payment method. Even if some casinos do allow withdrawals via instant banking services, it is simply too costly and time-consuming. The support agents at the casino where I was playing at told me I could use Citadel to withdraw my winnings. It turned out that I had to wait for over a week for my bank to verify and allow the transfer and charge me with a £45 fee. When I visit an online casino for the first time, I always look at the payment methods it accepts before I register. I never use my credit card for gambling, because I prefer playing with the money I actually own, not with borrowed finances. My bank allows deposits into casinos, but its online services are quite slow and for this reason, I use a separate instant banking service. Through it, I can top up my casino account in a matter of minutes, while at some casinos I can use it even to withdraw my winnings. This, however, takes significantly longer and the banking fee is really steep. Still, compared to other payment methods, Internet banking is safer and more reliable. I prefer using Internet banking when I make payments online because it’s safe. However, I’ve tried to make a deposit in several casinos, using the e-banking services of my bank and the payments were cancelled by the financial institution. This is extremely frustrating, especially when the bank employees don’t have a logical explanation regarding the cancellation. Well, when I opened an account at another UK bank I made a successful deposit into a casino, but the transaction took 2 days to complete, which was ridiculous. Since then, I’ve started using instant banking services and I am more than happy. There are still fees charged for every transfer, but at least my deposit appears in my casino balance immediately.